Applied Science MRes is aimed at those that wish to gain a Masters degree by research in an applied aspect connected to physical and/or biological sciences. At present subject areas available include most forensic disciplines, fire science and applied bioscience. We have designed this course to appeal to those prospective students focused on their profession and their next job move whether it be internal promotion or transfer to a new company position. The MRes can also be completed as a full time research degree based at the University over a duration of one year. 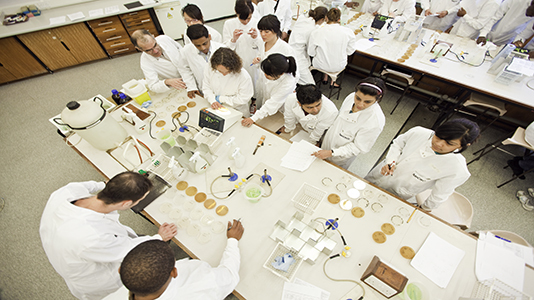 Why Applied Science at LSBU? Ability to exercise initiative and personal responsibility. Innovative programme of study, with both full time and part time modes. You'll gain the ability to write relevant documentation to different audiences. fosters independent learning required for continuing professional development. A research degree will equip you with many transferable skills. The self-discipline, the demand for clear analytical thinking, and the ability to turn criticism of others work into something constructive of your own all constitute a unique training for almost any kind of career. The excitement and satisfaction of finding new facts, a new idea, or a new way of looking at something can be highly rewarding. The CAH code for this course is CAH03-01-02.